Born and raised in Minnesota, Regis College in Denver finally brought Cheryl to Colorado. While her husband, Dan, went to Law School at the University of Oregon (Go Ducks! ), Cheryl started selling real estate software and quickly became their top salesperson. In 1996, Cheryl and Dan moved to Steamboat Springs for that "one" winter; Twenty years later, Cheryl, Dan and their three children Jackson, Josephine, and Aklilu, still call Steamboat home. Cheryl has a passion for golf, hiking, wine tasting, soccer, and is active in the local Ski Town USA Rotary. She also enjoys traveling abroad and skiing down the slopes of Mount Werner. Cheryl has been involved with many facets of the real estate industry over the last 23 years. In the last decade Cheryl has become a specialist in Steamboat’s diverse marketplace, including high-end fractional ownership, condominiums and townhomes, land, and single family homes. She has completed hundreds of transactions representing both Buyers and Sellers. Her extensive knowledge of the different areas and developments in and around Steamboat provides her clients with up-to-the-minute analysis of what move may be right for them at any given time. 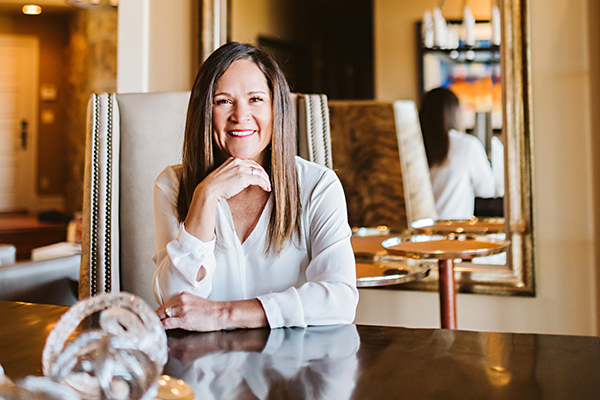 Cheryl’s rigorous and innovative marketing plans and deep knowledge of the Steamboat area market keep her among Steamboat’s top agents year over year, both within Steamboat Sotheby’s International Realty and among her more than 300 peers. Cheryl encourages those thinking of Buying or Selling to read her client-testimonials and then call; you won’t be disappointed. Call or email anytime at Cheryl@CherylFoote.com or (970)846-6444 direct. After 22 years living in Steamboat and working as a full-time licensed Realtor for over 23 years, my statistics speak for themselves. With 93 transactions closed in 2018, I ranked 1st in properties sold among over 300 Steamboat Realtors. Being a full-time licensed Realtor for the last 23 years, I offer my clients a diverse understanding and specific marketing plan for their real estate in the Yampa Valley. The real estate market fluctuates like any other. You owe it to yourself to hire someone who understands current conditions and can tailor a marketing plan to your property.